Online advertising through Pay Per Click (PPC) drives instant traffic to your website by placing it at the top of search engines. With Google accounting for two-thirds of all U.S. searches, AdWords remains the most effective paid search advertising medium. Our PPC services are extremely effective in ensuring a massive return on your ad spend, and can include Google AdWords, Facebook Ads, Bing & Yahoo pay-per-click management. The average return ratio for Google AdWords is 2:1. Our average client has a 5:1 return on their online advertising ad spend, but we’ve achieved returns as high as 9:1 from our managed PPC services! Case study with one of our AdWords clients, where they spent roughly $17K over 3 months on AdWords, and yielded an 8:1 return for that quarter. NOTE: PPC ads alone will not make your company hugely profitable. Failing to first apply conversion rate optimization (CRO) to your website will cause you to spend much more on PPC than necessary. Your cost per lead and cost per acquisition will be through the roof. That is why you want to hire a full-service digital marketing agency; one that approaches digital marketing from a synergistic perspective, and understands your target audience. Over a decade of online advertising & PPC management experience. 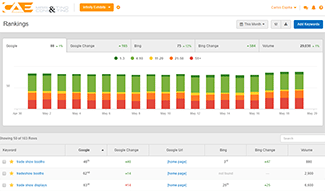 We are optimization experts – we squeeze the profits from every PPC campaign, ad, or landing page. We are among the most affordable PPC management agencies. Not only are we Google AdWords and Bing Ads Certified, our agency also holds the Google Partner status. OK, I'm Ready. Let's Do It! We prefer to retain clients with results rather than a contract. Our standard agreement only requires 30 days notice if you wish to stop our PPC management services for any reason. Some pay-per-clcik management companies will own your account and any historical data associated with it if they build out the campaigns. That’s not how we operate. Should you choose to leave us for any reason, the paid search advertising campaigns we build for you will be yours to keep, no strings attached. How much does it cost to advertise on Google, Bing or Yahoo? We get this question often. The cost depends mainly on the competitive landscape for your given industry and what you’re willing to pay per acquisition. Some businesses can spend as little as $500/month in paid search and be content with the 10-20 leads the ads got them. For others, we have to spend $300-$500/day to be able to acquire that many leads. In the end, it’s not how much you spend per click, but rather how much you’re willing to pay per lead. Developing a brand new PPC or AdWords account is time-consuming (to do it right). Since we do not require a long-term contract, we charge a one-time set-up fee for new AdWords or PPC accounts. Set-up fees range from $500 to $5,000, depending on the size and number of campaigns being built. There is no set-up fee for existing AdWords or PPC accounts. Much time & effort is needed to maximize results within these competitive advertising platforms. It is necessary to monitor, strategize, build, change and report on a regular, ongoing basis. We charge a flat, ongoing monthly management fee based on your total ad spend. We take care of everything for you. This ensures your accounts are always ready to take advantage of maximizing profits from Google, Bing, Yahoo and Facebook PPC ads. Each month, you’ll be billed directly from the paid search advertising platform we have your ads running on (Google, Facebook, Bing, etc). In addition, you’ll pay CAE Marketing a monthly management fee for managing and optimizing your account(s) on those ad networks. The fees below are based on an the average time spent managing campaigns given their size. Online advertising, particularly pay-per-click ads are not cheap. While our PPC management services are among the most affordable, you should still plan on setting up an online advertising budget that accounts for the ad spend and an agency’s management fee of those ads. 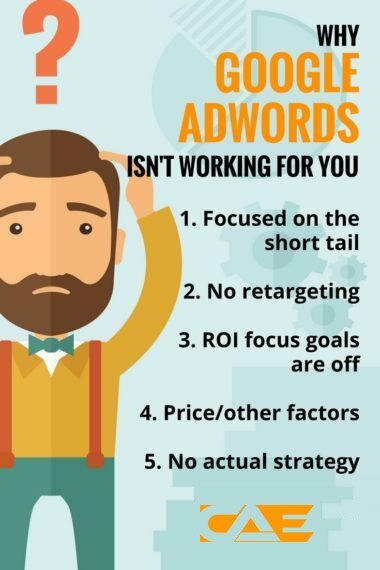 Be careful when shopping for affordable PPC management agencies. Look for reputable agencies that have a proven record and can show you case studies and a relatively quick return on your ad spend. While AdWords is the top PPC advertising channel in the land, Bing still has a place in the online advertising world, particularly with different demographics. In addition, the cost per click (CPC) on Bing is usually much lower than the CPC on AdWords, sometimes as much as 60% less. More often than not, we will find success (and a solid return on ad spend) with our Bing pay per click services for our clients. Much like Bing, Yahoo still has PPC advertising value. Our Bing & Yahoo pay-per-click services are managed simultaneously, meaning ads on Bing will also appear on Yahoo. Ready to Drive Serious Profits to Your Company?